The first impression of any business is its parking lot. Companies often struggle with ensuring sidewalks, parking areas, and even small roadways are in good enough condition because it creates a negative impression when a customer pulls in and must navigate complex cracks and potholes. Instantly, the driver is upset. To avoid this, proper maintenance to all exterior surfaces, especially concrete, is necessary. When is it necessary to obtain concrete restoration services? Concrete deteriorates over time. Depending on the amount of freezing and thawing, use, and the application method, it can often crumble. Any indication of this, such as the development of a pebble-like surface, is an indication of damage that needs attention. This type of crumbling will worsen over time without proper care. However, restoration work as soon as evidence of this occurs can help reduce the need for a comprehensive replacement process. 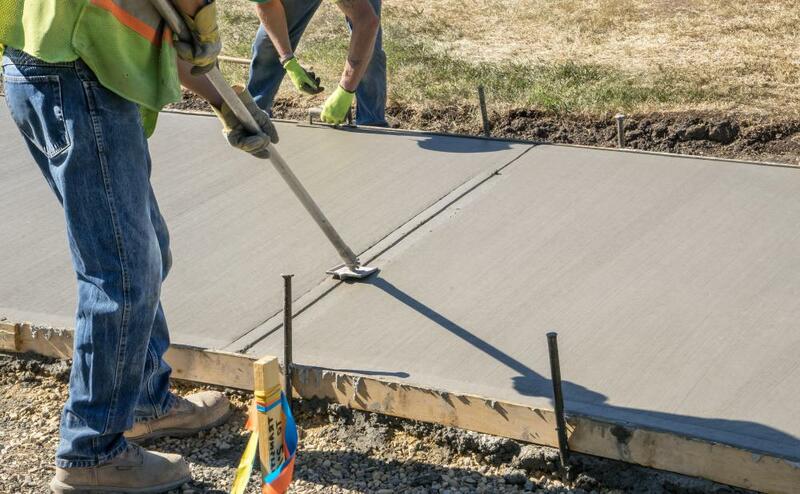 Concrete restoration services can help shore up the surface to reduce overall maintenance costs. Cracks are a tell-tale sign of damage to the concrete’s foundation and overall integrity. Cracking is not uncommon, though. It often occurs as a result of movement of the foundation layers, such as rain washing away the surface underneath the concrete. It can also occur as a result of significant temperature changes. When a crack or small fissure occurs, water can become trapped there. In the winter months, the water freezes. This causes an expansion of the surrounding concrete. Over time, this worsens. The constant freezing and thawing that can occur in a single year can lead to the development of significant damage. Concrete restoration services can help in many situations. The sooner the cracks or small fissures receive attention, the less likely it is for this to worsen. And restoration can often reduce the need to replace the concrete completely. It’s quite hard to sell a building with a bad foundation, so acting fast is in your best interest. Concrete is laid in blocks or pads. This ensures each pad can move some as the ground under it shifts. However, the development of a significant difference between the height of the pads indicates a key concern. This means there’s a significant amount of deterioration present. These uneven surfaces put strain on other portions of the concrete, making it more likely to fail. However, the big risk here to businesses is that it creates a significant tripping hazard. There are solutions for fixing this uneven level. Often, concrete restoration involves the drilling of small holes in the pad, filling the ground under the area with concrete, and sealing it. This elevates the existing, dropped layer upward, reducing the risk of tripping. When Should Concrete Be Repaired? There are several key indications that concrete needs repair sooner rather than later. The concrete is no longer level. Cracks develop and continue to spread. Water is pooling in one or more areas of the driveway or sidewalk area. It has an aged, worn appearance. Its crumbling or otherwise worn, sometimes with evidence of the steel support system showing. Doors do not open easily any longer, indicating a slight change in the elevation. Walls are cracking around the concrete area, often near a building’s foundation. Floors seem to be sinking. There’s evidence of change in the way the concrete slopes. Whenever any of these situations occur, there is a real opportunity to take action right away to make repairs. Concrete restoration services work to restore the integrity, safety, and durability of the structure. However, they can only be truly successful if used sooner rather than later. Extensive solutions exist to help with many of these and other concrete problems. Concrete can last decades when well maintained. When any structural changes occur to the concrete, though, it requires attention. Concrete restoration not only can shore up problems that are unsightly but also make surfaces safe again for customers and clients. This also preserves the value of the property and gives owners peace of mind. Industrial blenders and mixers can be filled in any number of ways.